The Legend of Zelda: The Wind Waker is the tenth game in the series. The Legend of Zelda: Phatom Hourglass for the Nintendo DS is the direct sequel to The Wind Waker. The Wind Waker is set on a group of islands in a vast sea, which is a first for the series. Once again, Link struggles against his nemesis, Ganondorf, for control of the sacred relic known as the Triforce. Link spends a good portion of the game sailing, traveling between islands, and navigating through dungeons and temples to gain the nececssary power to defeat Ganondorf. Link also spends some time trying to find his little sister. The Wind Waker follows where Ocarina of Time left off by maintaining the basic gameplay and control system from the Nintendo 64 title. A strong emphasis is placed on using and controlling wind with a baton called the Wind Waker, which helps while sailing and floating in the air. Critics enjoyed the similarity to Ocarina of Time, but often complained that the large amount of sailing became tedious. However, the game did met commercial and critical success and is the fourth of only six games that have received a perfect score from Famitsu magazine. Currently the game has been released on the following formats: GCN (2000). 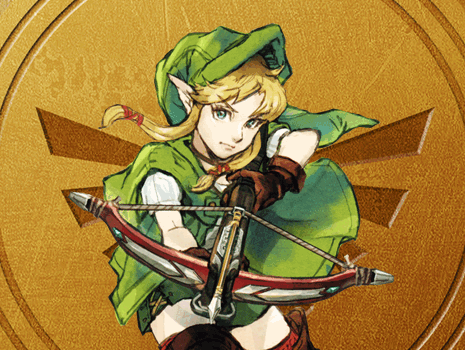 The following pages contain information and guides for The Wind Waker.